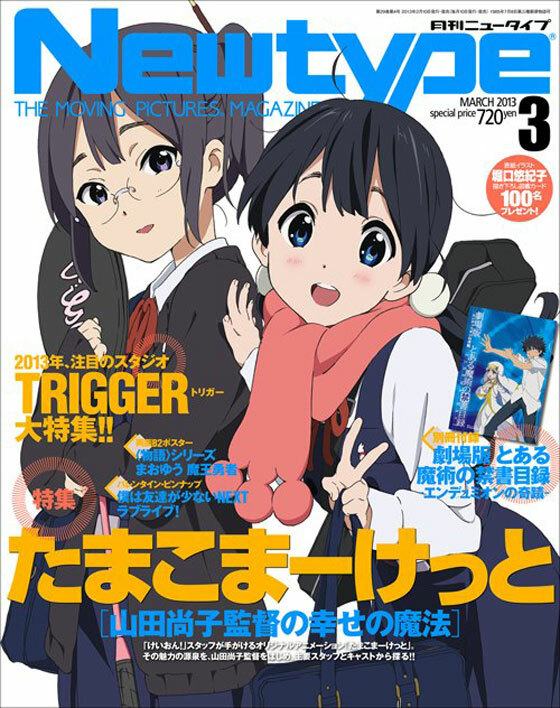 Tamako Market on March 2013 cover of Newtype anime-manga magazine. Apparently the new Hayate The Combat Butler is going to be an “original” anime yet again. 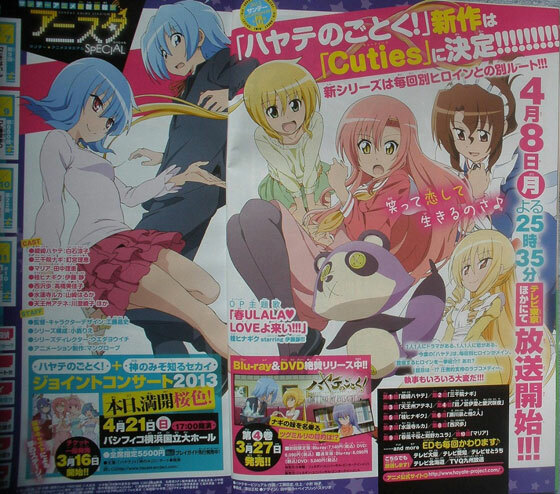 The new anime features a cutie theme which focuses on a female character in each episode. Coming soon in April 2013. It won’t be a third season as many have hope for, and seems like the anime producer has abandoned catching up with the manga plots altogether. Personally I like Hayate for its slapstick and randomness, so I’m fine even if they decide to not follow the manga as long as it’s funny enough. It’s unfortunate though that some of the characters won’t get a proper introduction. For example Athena who seems to pop out of nowhere. If you never read its manga it may be a bit difficult to follow this new show. At the least you won’t enjoy it to the fullest. 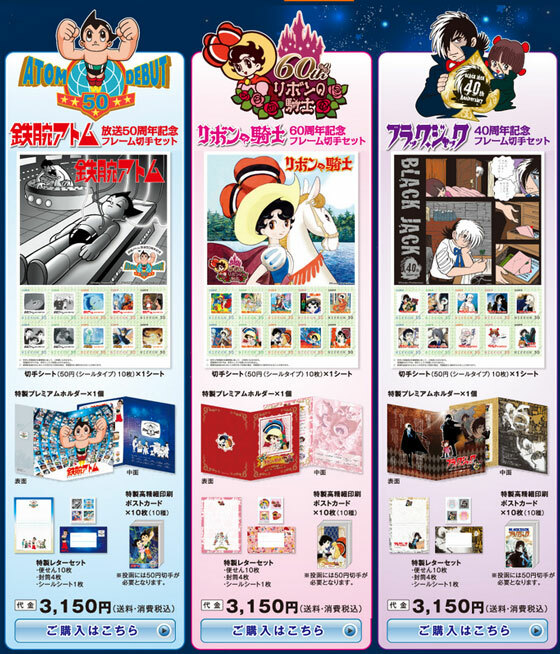 Japan Post will be releasing three sets of commemorative stamps for Japanese cartoonist Osamu Tezuka to celebrate the anniversaries of his works. The Astro Boy anime was first broadcast 50 years ago (the manga was published in 1952 though), the Princess Knight manga first published in 1953, and the Black Jack manga in 1973. 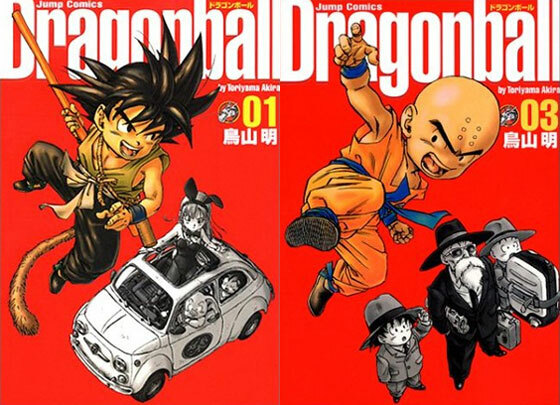 The 20 all time best selling manga series which is/was published on Weekly Shonen Jump Magazine. I’ve read 10 of these, on and off, plus two more in anime form. 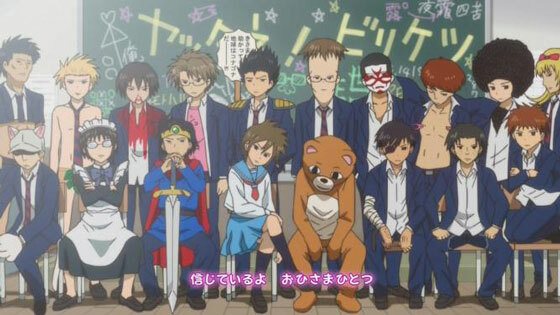 Daily Lives of High School Boys is a 2012 anime series based on a manga first published in May 2009. The title itself might put off some anime fans (boys, ehh? ), but it’s a decent comedic anime series IMO.